28 November – The closed fishing season for Nassau grouper in Cayman Islands’ waters commences 1 December, 2018 and lasts until 30 April, 2019. During the closed season anyone who takes, purchases, receives, offers for sale, exchanges or donates Nassau grouper commits an offence under the National Conservation Law (NCL). In addition, anyone who possesses or permits another person to take Nassau grouper (Epinephelus striatus) from Cayman waters commits an offence. Fishermen who inadvertently catch Nassau grouper during closed season should release them alive, even if the grouper is hurt during the catch. Using circle hooks, as opposed to J-hooks, can make the process of removing the hook from the fish’s mouth easier, as the circle hooks are designed to not hook in the stomach of the fish but rather in the mouth, making extraction less dangerous for the fish (please attached flyer for more information). 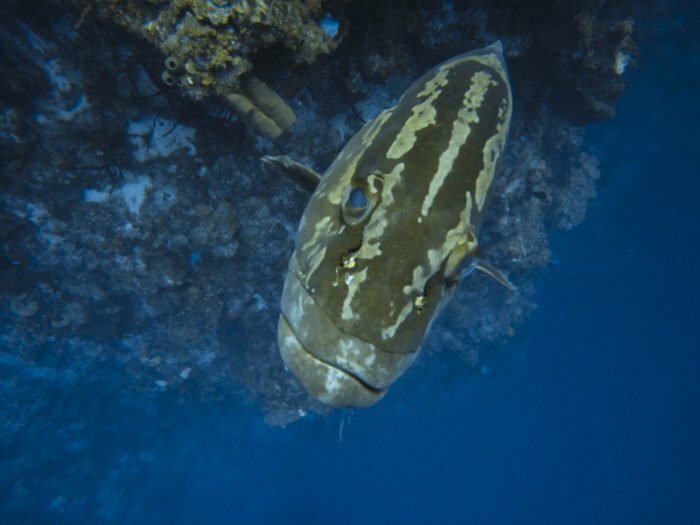 The DoE is scheduled to embark on its annual Grouper Moon project in January, monitoring the Nassau Grouper population and spawning sites in Grand Cayman, Cayman Brac and Little Cayman. The effort will include public education workshops and, hopefully, live on location broadcasts. “The Nassau Grouper has been making a somewhat steady comeback in the waters off Little Cayman over the past decade and this recovery makes species conservation efforts even more crucial as we try to duplicate the repopulation on Grand Cayman,” Mr. Johnson said. “It is important that we observe and uphold these rules for the Nassau grouper closed season, and we ask the public to please support our efforts to regenerate our over-fished stocks so that future generations can enjoy this species,” said Environment Minister, Hon. Dwayne Seymour. Anyone who witnesses, or who becomes aware of, Nassau grouper poaching during the closed season is asked to call 911 and may also contact DoE enforcement officers directly on Grand Cayman (916-4271), on Cayman Brac (call 911) or on Little Cayman (925-0185).